Sure, you could stay at your beachfront rentals on Anna Maria Island and enjoy the wind through your hair, the cascading waves, and the turquoise glow of the waters. But at some point, even for just an afternoon, you may want to go see some of the attractions. It hardly gets better than the Mote Marine Laboratory and Aquarium. It is a family-friendly attraction focused on learning about the local waters and the treasures that they hold. Below is an overview of this iconic research facility and museum aquarium on Anna Maria Island. The Mote Marine Laboratory and Aquarium is an utterly unforgettable experience. The crux of your adventure here is in the three touch tanks. The first is the manatee touch tank where you can get an up-close-and-personal look at some of the most humble wonders of the local waters. The second touch tank area is a special treat. You can see some of the most social sea turtles anywhere. Hang out with the sea turtles as they circle the tank and often demand your attention! The last touch tank is filled with sting rays. This family-friendly mini-stop will have kids and adults alike keeping their fingers out and still as the sting rays float under them. They absolutely love to play and splash. You will be happy to know that the Mote Marine Laboratory’s epic shark tank is not also a touch tank. It is, however, 135,000 gallons of water for the resident sharks to swim around and feed in. Some lucky guests may even have the opportunity to participate in the shark feedings. 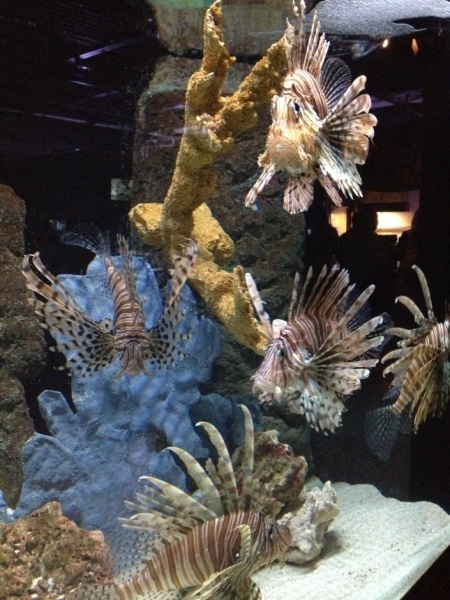 You can take a little stop at the Creatures from the Reef exhibit, featuring a spectacular showcase of rare tropical fish. The Florida Bay habitat is local, and the Fossil Creek exhibit explores the rich archeological history of Anna Maria Island with interactive activities for the kids. Take some time out of your trip to visit and witness any one of the 12 major exhibits available at the Mote Marine Laboratory and Aquarium. Some other activities here include an eco-tour adventure where you can see dolphins, osprey, and manatees, among other marine life. A “Deep Sea Diner” is available for you to grab a snack on your visit, as well as a gift shop so you can carry a marine-themed gift back home. 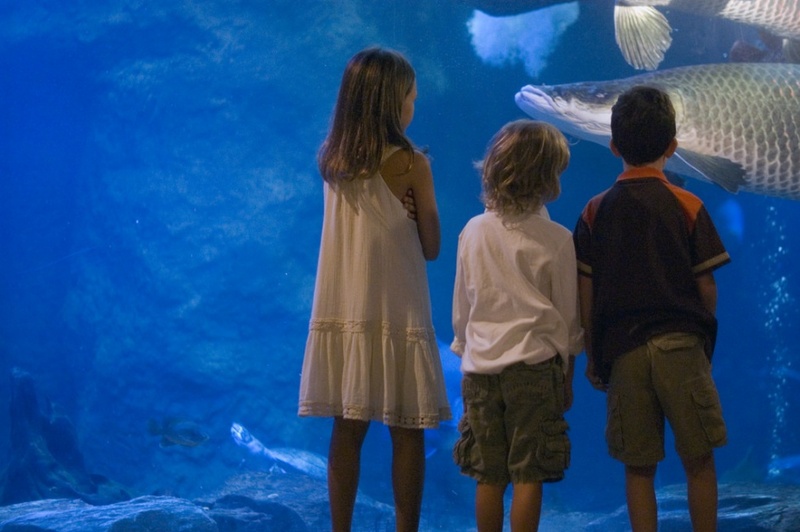 The aquarium is located at 1600 Ken Thompson Pkwy, Sarasota, FL 34236. It is open every single day from 10 a.m. to 5 p.m. Numerous events are available throughout the year. Visit the website for more. Tickets are $22 for ages 13 and up and $16 for ages 3 to 12. Membership discounts are available as well. Contact us at 941-778-4178 for details about the museum and other nearby island attractions. We can also get you involved with one of our most suitable beachfront rentals on Anna Maria Island so you can really enjoy your vacation, whether you are at an attraction or right outside on your deck or patio enjoying the scenery and beach views.